Vincenzo “Dontino” and Ana Maltempi always knew one thing, they loved to cook! They looked forward to their daily meals with their son Carlo and his many childhood friends while living in Akron’s North Hill. They loved having their friends over for many evenings spent solving the world’s problems over a plate of spaghetti, a glass of Chianti and an espresso. Those were the days back in the 50’s and 60’s in Akron’s North Hill. 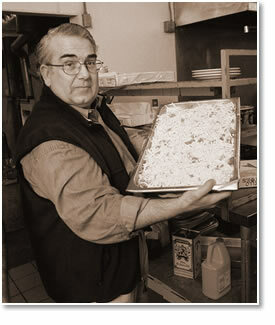 In 1975 fate played its role bringing Dontino’s to life. Ana was employed by O’Neil’s as a seamstress in downtown Akron and Vincenzo was employed at A. Schulman Co. on Tallmadge Ave., when through a family friend the opportunity to buy “LaVita Gardens”( a North Hill tradition since 1930 on it’s own) was discussed. With the courageous spirit that drove them to America 25 years earlier, with much thought and encouragement from friends and family alike, and with the help of their son Carlo, “Dontino’s Ristorante” came to life. Being fans of traditions doesn’t only mean that the sauces and pastas from Italy made it onto the menu. Dontino kept what made LaVita’s a North Hill favorite: the Famous Steak Sandwich! He made sure that from the Hamburger to the Meatball Sub, and from the Veal Cutlet Sandwich to the Chicken Parm Sandwich, anybody who was looking for a great sandwich would get what they wanted at Dontino’s. But at the end of the day, Vincenzo and Ana knew that in keeping with tradition all of this must be provided at a great value the whole family can enjoy, which is still true. Today, Dontino’s Ristorante keeps up this tradition with the help of Carlo’s five children who all are dedicated to keeping their family’s traditions part of North Hill for many generations to come. 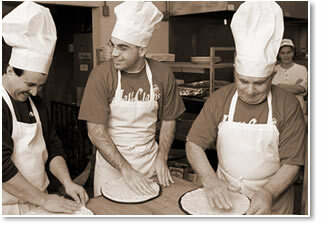 Frank and Anthony inparticular who decided to work in the family business full-time after graduating from Kent State University. Dontino’s Ristorante, an Akron tradition since 1930- Very Modern, Very Italian and Very Good.